Why all of this fuss about PMO, PRINCE2 and creating an economy transformation programme based on “catalytic” projects? 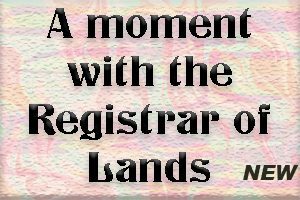 BRADES, Montserrat, Jun 11, 2017 – In his June 9th 2017 Budget Speech, Premier Romeo said that, “[w]e took radical steps to ensure that the longstanding problem of delays in projects will be minimized by implementing a Programme Management Office (PMO) . . . . This will improve our value for money business cases, project and programme governance, transparency, and risk management. Such measures will help us improve our ability to effectively implement a sound development programme and put an end to underspending, and project over-runs. 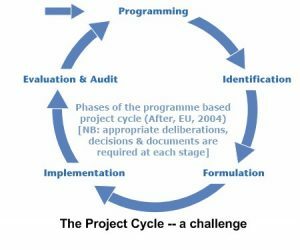 ”In short the PMO and its PRINCE2-based standards for project and programme management are pivotal to the growth and transformation programme that is now beginning with the UKCIF and EU-funded first phase port development project. Montserrat is a unique case, one where both halves of the ICAI’s recommendations apply. We have been hit hard by natural disasters that create fragility, but at the same time, we have significant potential to break through to self-sustaining growth and ongoing development. The obvious danger with such a situation is that we can tend to fall between two stools, with the emphasis fruitlessly shifting back and forth from one pole to the other and back again. So, our challenge, is to instead draw energy from both aspects of the situation and move ahead decisively, restoring sound governance and stable community life with adequate health, education, housing and welfare support on the one hand, and creating a dynamic, growing inclusive economy on the other. In Montserrat, the new Programme Management Office is using PRINCE2 and other standards by Axelos, to develop capacity and to create a credible framework for the governance, management and implementation of the key, “catalytic” projects. But, that leads to another question, what is PRINCE2? These principles, themes and processes should readily fit in with the programme-based project cycle management approach(PbPCM) used for many development projects by DfID, EU and other bodies, and so we should be able to tailor the approach to our particular circumstances. Where, of course, tailoring is one of the seven PRINCE2 principles. Also, the Tasmanian Government’s Project Management Framework e-government initiative will provide some very useful resources (which are generally compatible with the PRINCE2 approach).